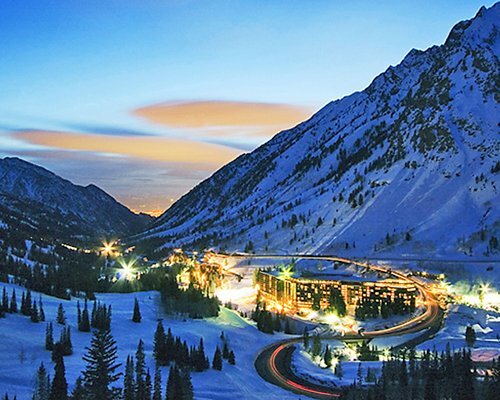 Located in Utah's Wasatch Mountains, only 26 miles from downtown Salt Lake City, Iron Blosam Lodge @ Snowbird is truly a year-round resort. 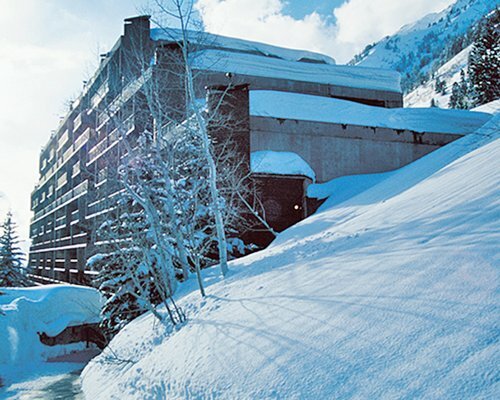 The slopes are just a short walk away. 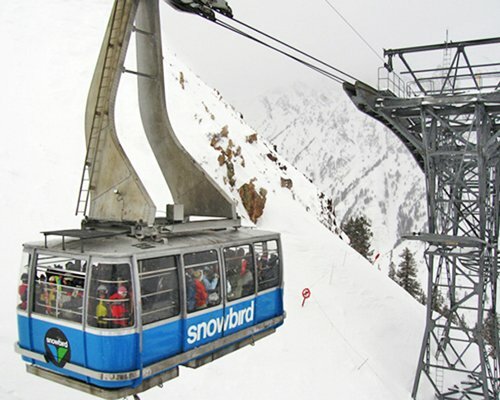 A free shuttle service takes guests to local ski areas and area restaurants in the evenings. 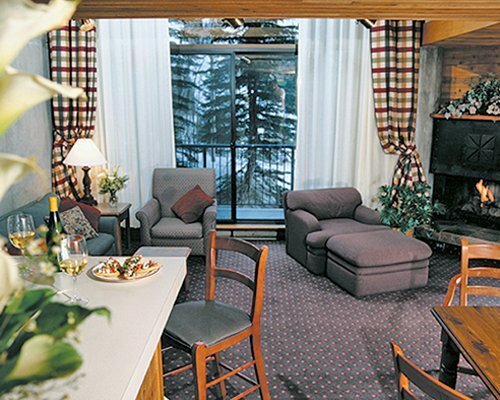 Complimentary beverage service is available during ski season near the locker room. 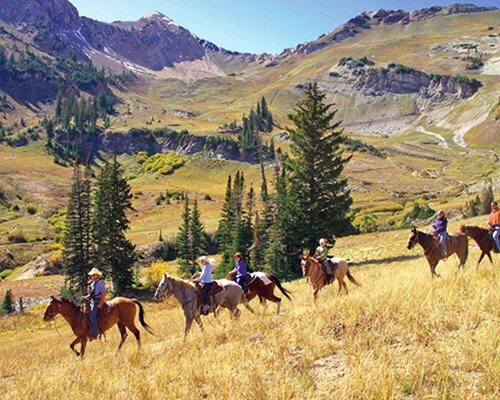 In the warmer weather, enjoy horseback riding, tennis, and the alpine slide. The game room includes a video arcade, pool and ping pong tables for the kids, and a second family pool and toddler pool in the summertime. 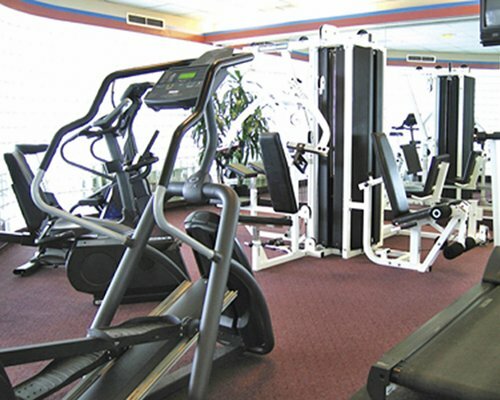 Make use of the health club, swim in the heated outdoor pool, soak in the indoor hot tub, ease the tension away in the steam room, exercise room, and men's and women's dry sauna. Massage services are available during the winter season. 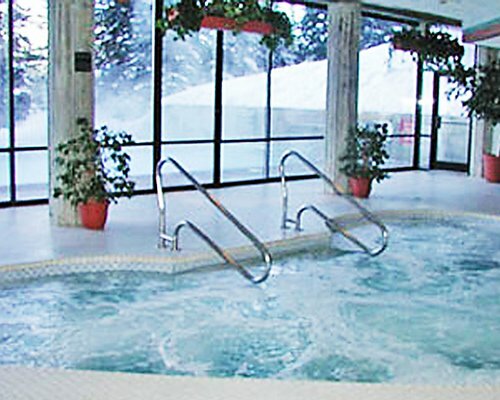 The Iron Blosam Lodge offers a variety of accommodations that sleep from two to eight guests, with a combination of queen-size beds and queen-size sofa beds. 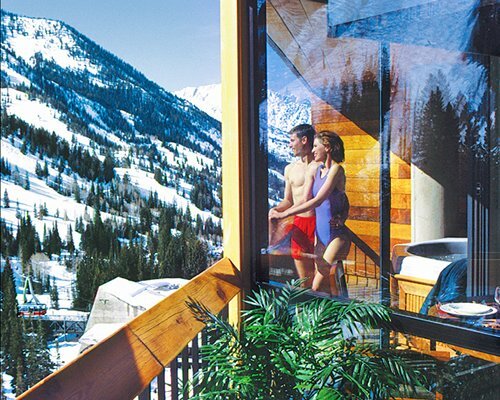 The two-level loft suite has two full baths, perfect for a family or friends getaway. 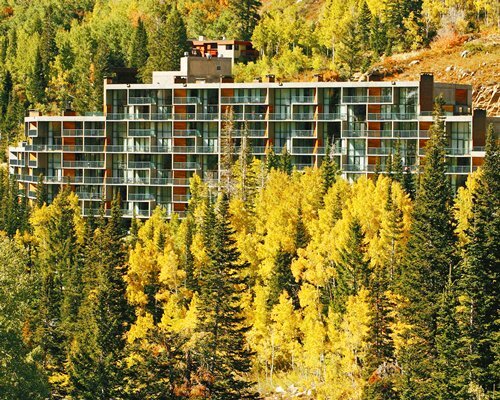 Units have spectacular mountain-view or canyon-view balconies, and some feature gas fireplaces, adding to the cozy ambiance. Many units have kitchens to make this resort truly family-friendly. 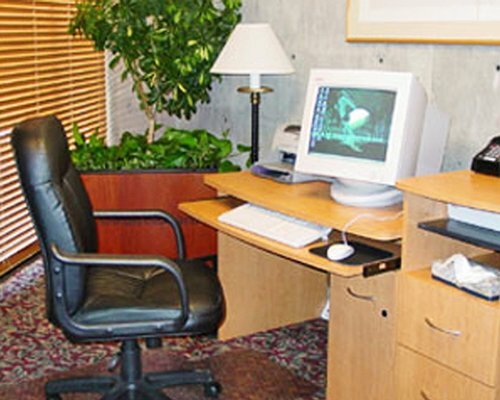 All units feature TVs with DVD/VCR players. 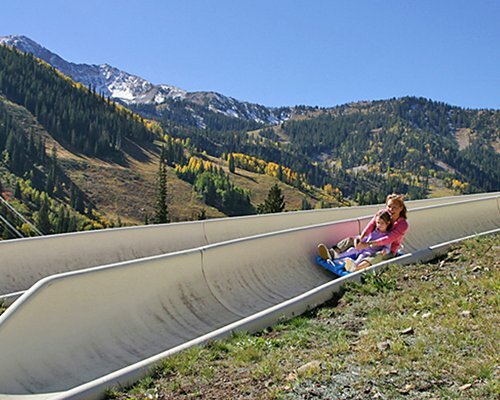 The area is famous for dry-powder snow from late November to March, followed by excellent spring skiing until May, if conditions permit. Take a refresher ski lesson, then explore 3,100 vertical feet of downhill skiing or head out for a day of cross-country skiing. Bring the golf clubs and play18 holes, just eight miles away, or spend the afternoon fishing. 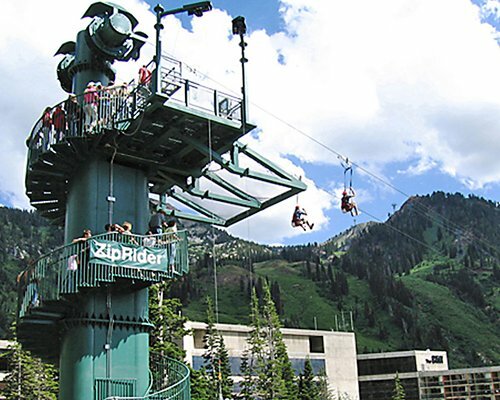 Spend the afternoon hiking, mountain biking, or shopping. Enjoy local concerts, workshops, hiking, and mountain biking. End the day by visiting one of the area's fine restaurants. From Salt Lake City Airport, take I-215 South to exit 6, (6200 South). Turn right on 6200 South (which changes names to Wasatch Blvd., and eventually Little Cottonwood Canyon Rd.). Make no turns. In approximately 10 miles, exit Snowbird Resort Entry 2 and immediately bear left where the road splits. Follow up and around the circle to the Iron Blossom entrance. The canyon is a "closed" canyon: the only road in and out is from Salt Lake City. 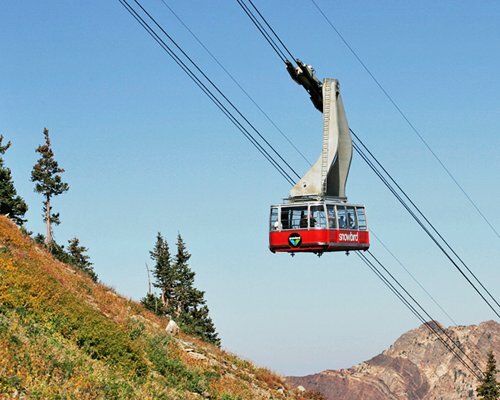 There is NO direct access to Park City.